As you can notice, I'm a dreamer and I'm imaginative. I used to think that being able to dream and imagine, was the ultimate experience. However, that changed recently when something unexpected happened ... I had a "dream within a dream". The best part? I was awake! No, I'm not crazy, I swear! Nor am I referring to the famous poem by Edgar Allan Poe, so please, let me explain. I was seated in a large and impressive stage as part of a panel with my dear friends of Ciencia Puerto Rico (CienciaPR), Yaihara, Mónica and Giovanna. Behind us, a large screen, and directly from Connecticut, was Daniel, CienciaPR’s founder, who for me is one of Puerto Rico’s brightest minds. I had dreamed and imagined that one day I would have the honor of being with these great minds and souls that I admire, and that together we would share our common story. There were many other “partners in crime” missing, and the available time was not enough, but I lived that dream, I was awake and could pinch myself. While I sat there discussing the contribution of CienciaPR and the diaspora to the scientific ecosystem in the island, an indescribable feeling overtook me. I was looking into the audience, and then I realized that this wasn't just any stage, this was a stage that I helped to create. 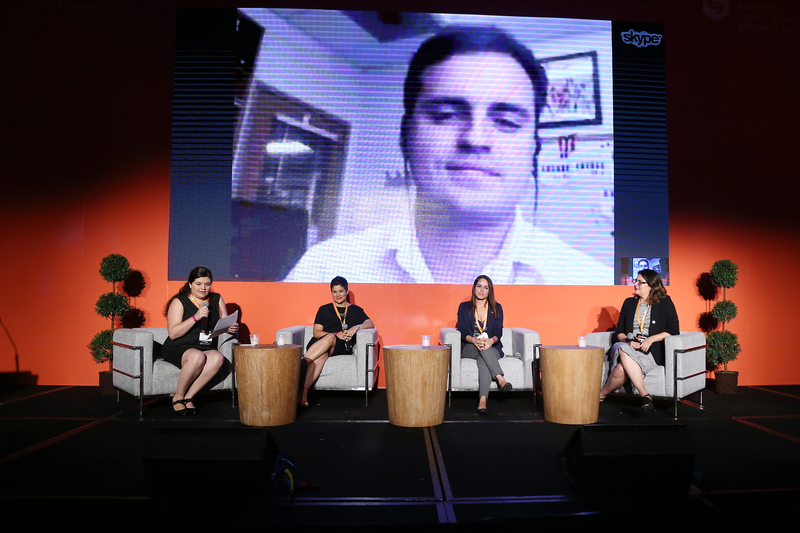 The panel was part of the first summit of researchers, entrepreneurs, and investors in science and technology to be held in Puerto Rico: The Forward Research & Innovation Summit. Then, I realized that I was living this dream, within a more recent dream that materialized at the same time. Now, first of all, why is this CienciaPR moment a dream come true? It was not the fact of being in a nice setting in front of many people, but its meaning. The fact that others want to hear CienciaPR’s stories and anecdotes is a sign of success for our organization and our collective efforts. I've always said that success is that moment when you look back and you're satisfied with what you have accomplished. CienciaPR’s time to look back had arrived, and it came with great satisfaction. Ten years after its founding, CienciaPR can share experiences, but more importantly, it has become a model organization. CienciaPR’s model and its initiatives have been an inspiration for other groups on the island and the world. This model is truly a global innovation. Think about it: how many countries have managed to connect its scientific human capital in and out of its territory on the same platform, with open access, and full of resources? Early in 2007, just months after starting my PhD studies in Ohio, I found CienciaPR’s website. I immediately decided to contact them and offer my help. That was how I first spoke to Daniel. We agreed that he would assign some small tasks to start with. Then, I made my first podcast. Time passed and I was doing some other things, until one day I got tired. I called Daniel and told him I needed to do more meaningful things... Uff! I have no idea what Daniel thought but it worked out. After that, I started coordinating CienciaPR’s social networks. Some of them, like Twitter, I had never used before, but that was no excuse. At the same time, I got involved with many initiatives. In 2011, when we held our first symposium on the island and after almost four years of working together, I finally met in person some of the CienciaPR team. Yes, 4 years later. This is a fantastic story. I spent a long time coordinating our Monthly Stories, an experience that allowed me to meet many scientists and engineers and allowed me to polish my skills in this kind of writing. I was also in charge of the volunteers for a long time, and in 2013 we conducted our second symposium on the island. During my postdoctoral training in Nebraska, the blogs Science is all around you and “Borinqueña” were born. I want to point out that all this happened while I was living in the U.S. In 2014, I returned to Puerto Rico. Then “Semillas de Triunfo” was born. That same year, I ended up working in the Puerto Rico Science, Technology and Research Trust, an entity with which CienciaPR had collaborated with in the past. It is noteworthy that the first approach to me was, precisely, because they knew my work with CienciaPR. I always say: "Never underestimate volunteer work." My role in CienciaPR has recently changed. I am pleased that the organization has grown, it has solidified, and it is in the best hands. Moreover, with the Trust being a natural ally, my new role has allowed me to help channel common interests to work together. This is how opportunities such as the Forward Summit are spawned. Reflecting on that day, I realized that for nine years I reached many of my goals because of CienciaPR. For this reason and because of everything I want to achieve, to stop daydreaming is NOT an alternative. My goals come from my dreams… and from those goals my reason for success. *** Ciencia Puerto Rico is celebrating its 10th anniversary. We recently launched our first crowdfunding campaign "I am with CienciaPR" (#ConCienciaPR). No donation is too small. Join us in our efforts and help us make the next 10 years of CienciaPR even more successful. To donate please go to bit.ly/ConCienciaPR.